Vietnam, Iraq, Afghanistan: Taken together, these conflicts are the key to understanding more than a half century of American military history. In addition, they have shaped, in profound ways, the culture and politics of the United States—as well as the nations in which they have been fought. This volume brings together international experts on American history and foreign affairs to assess the cumulative impact of the United States’ often halting and conflicted attempts to end wars. It offers essential perspectives on the Cold War and post-9/11 eras and explores the troubling implications of the American tendency to fight wars without end. David Fitzgerald is a Lecturer in the School of History, University College Cork, Ireland. 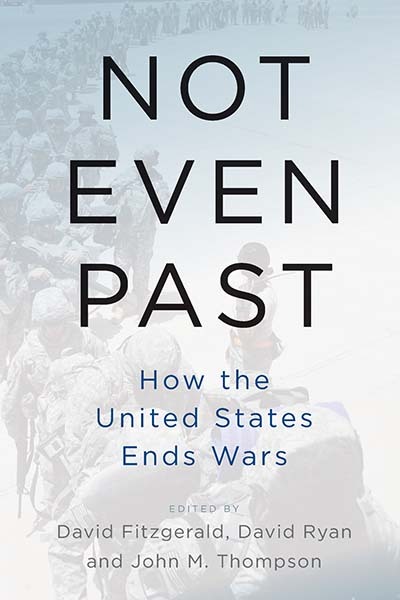 His books include Learning to Forget: US Army Counterinsurgency Doctrine from Vietnam to Iraq (Stanford, 2013) and Obama, US Foreign Policy and the Dilemmas of Intervention (with David Ryan, Palgrave Macmillan, 2014). David Ryan is Professor of Modern History at University College Cork, Ireland. He is the author of many books, including U.S. Foreign Policy and the Other, edited with Michael Cullinane (Berghahn, 2015), and Frustrated Empire: US Foreign Policy from 9/11 to Iraq (Pluto and University of Michigan, 2007). John M. Thompson is a Senior Researcher at the Center for Security Studies, ETH Zurich. His books include Progressivism in America: Past, Present and Future (with David Woolner, Oxford University Press, 2016) and the "Discovery" of Europe (with Hans Krabbendam, Palgrave Macmillan, 2012).